Every tech enthusiast has read about the Internet of Things and how it can revolutionize our homelife. Adding Internet connectivity to your refrigerator may seem weird now. But in a few decades this could be the norm. 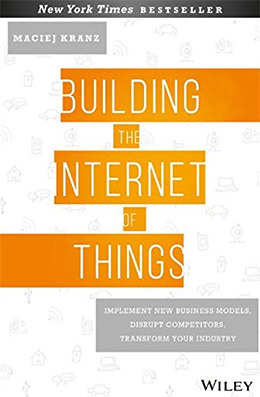 To keep up with the IoT discussion I’ve listed a handful of books that are well worth reading. These cover the IoT landscape including how it works and how programmers can prepare for the future. 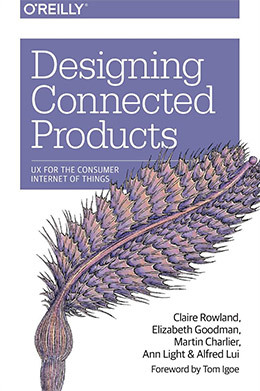 If you want a practical intro to IoT then I recommend Designing Connected Products by O’Reilly. It looks at the big picture from development to UX and ultimately how to plan a smart product. It’s one of the more detailed books you can pick up but it covers the modern IoT world accurately. Anyone on the forefront of this revolution likely has cool ideas for projects, but may not know exactly how to implement them. With this book you’ll find a ton of practical ideas for connected devices along with breakdowns of how they work. Designing the Internet of Things is a massive 330+ page guide to the IoT workflow. It teaches you how to create integrated devices and how these chips typically work. You’ll also learn how to plan projects and figure out how connectivity would improve the user experience. Physical products are very different than digital devices so this often leads to very different mindsets. You need to know how to plan and how to design around IoT features. Note this book isn’t really a strict how-to guide and it won’t give you specific projects. Instead it’s more of a detailed overview talking about the Internet of Things and the type of knowledge you need to create usable connected products. There are numerous problems holding back the IoT development and most of them are being solved every day. There is no single best way to solve a problem other than to hack away and get it done. 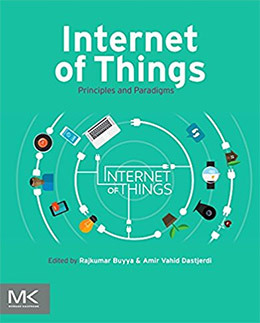 With the book Internet of Things: Principles and Paradigms you’ll learn about the fundamentals behind these connected products. Closed/open systems, scalable architecture, and higher-level programming are all topics of consideration. Later chapters also cover security and how this can be a huge concern for sensitive data. But if you’re looking towards the future then you’ll clearly see IoT is the way the world is going. 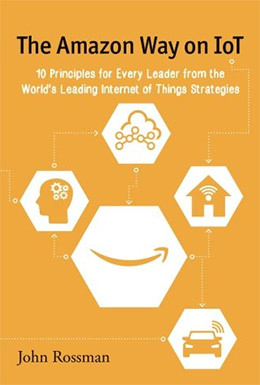 This book will get you thinking about the basic principles behind a connected device and how you can design projects with these goals in mind. You’ll also glean insights from professionals working on the cutting edge of this field. Here’s a nice mix of a technical manual, a philosophical guide, and a business handbook for future tech entrepreneurs. Building the Internet of Things focuses more on the enterprise applications of IoT products. This guide looks into the potential impact and business advantages you can get by following the Internet of Things and using these techniques yourself. Corporate environments are always looking to streamline the growth process. And with automation increasing every year it’s getting tougher to see how the future will play out. 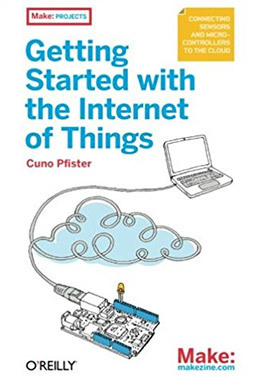 This book offers some pointers to make you think for yourself about IoT in the real world. Excellent read for entrepreneurs and technologists with an interest in the future of technology + business. It seems crazy that all modern smartphones are connected to the Internet when just 10 years ago smartphones didn’t exist. This is clearly a sign of the times and our ever-advancing move towards greater technology. 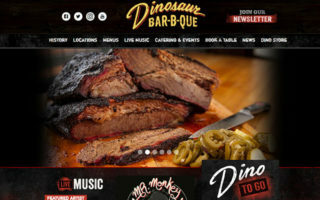 Designing Connected Products takes a look at physical UX design for user-centric products. 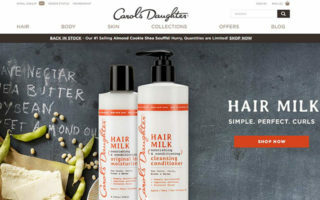 You’ll learn about how people typically use products and what makes them stick. If you’re designing digital interfaces then this book offers a nice mix of UI/UX along with physical behavioral psychology. But designing connected consumer products is a whole different ball game. Expert technologists and UX designers weigh in with their opinions in this lengthy title. It’s far from a perfect guide on the subject but it does offer some very thought-provoking concepts. 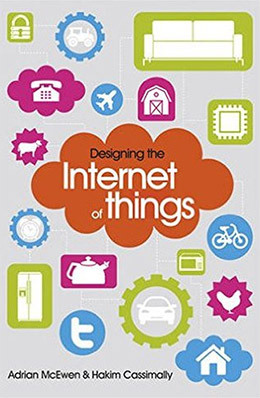 If you have no idea what the Internet of Things is, how it works, or how you’d design for it, then this book is for you. Getting Started with the Internet of Things is a true beginner’s guide into this daring subject matter. 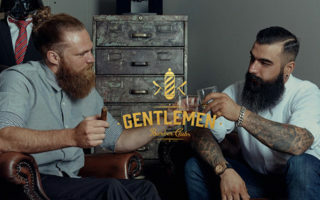 You’ll learn how sensors and digital readers can be used with connected devices to transmit data through to other connected devices. This book teaches you how to program micro computers like Arduino with a .NET framework library. With a few sensors and an Ethernet cable you can get any device online and transmitting data over the web. Granted these exercises are not very practical and you won’t be revolutionizing your home life with this book. It’s merely an introduction to the topic with some cool examples and fun ideas to work on. 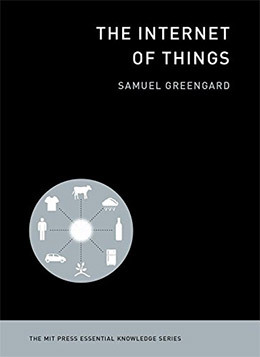 The Internet of Things by Samuel Greengard offers a nice divide between technical content and philosophical ideas. This book explains a lot about the IoT environment and how we’re advancing further into this every year. There is no clear outcome because it’s hard to know how far this will go. But with this book in hand you can learn a lot about the process of designing connected devices. Samuel’s thoughts permeate throughout each chapter explaining data capture devices like RFID chips and sensors. Generally speaking, the goal is to look at how machines connect with each other and transmit data. You will not get many practical ideas from this book and it won’t help you build your next cool gadget. But it’ll set you on the right path to understand the IoT with the right mindset. As I mentioned earlier, production-level ideas are at the forefront of IoT development. That’s exactly what you’ll learn by reading Enterprise IoT which showcases interviews and Q&As from leading industry experts. This book leans on case studies and detailed analysis of custom IoT devices already out in the world. Planning an enterprise project is just as valuable as the final execution phase and it’s crucial to understand this. 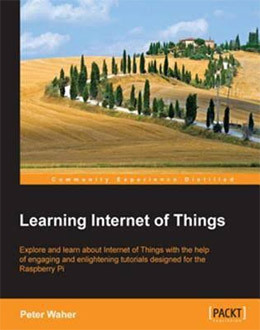 Each of the three parts in this book explore different topics for IoT protocols. Case studies in smart energy, cars, manufacturing, and supply/delivery are all considered from a business perspective. If you have any interest in business applications then this 500-page IoT book is well worth the money. For a more hands-on guide that’ll please the DIYers take a look at Learning Internet of Things. This mixes a Raspberry Pi with some basic programming knowledge to create some really cool devices. Throughout these lessons you’ll learn a lot about the capabilities and limitations of the modern Internet of Things and where it may be in 5-10 years’ time. Each tutorial follows a step-by-step approach so anyone can work through these lessons. The source code is also available for anyone to copy/paste and use for other homemade projects. It’s not a very long book with only about 250 pages and a few dozen chapters. But it is extremely technical and it’s one of the few hands-on books for IoT fanatics. As you can imagine there are tons of books with this same name, mostly because it’s a hot buzzword and everyone is looking to learn more. 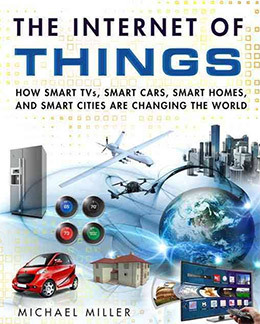 This book titled The Internet of Things: How Smart TVs, Smart Cars, Smart Homes, and Smart Cities Are Changing the World is very much a mouthful. It writes for the layman who wants to learn about the ideas behind IoT development and where these things are going. Smart devices come with both good features and bad ramifications. We don’t know exactly what’ll happen but this book’s author Michael R. Miller tries to fill in the blanks. How realistic is a smart refrigerator? What can a smart TV do now and what could it do in a few years? What is wearable tech? And where are all those self-driving cars? You’ll find answers to all these questions and more with a fun light hearted writing style. If there’s any company that has taken the 21st century by storm is has to be Amazon. 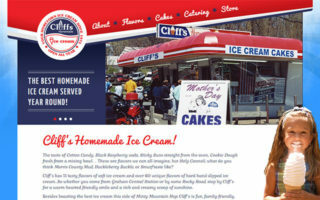 They are the new online superstore but they’ve also broken into online streaming and even technical services with AWS. The Amazon Way on IoT combines ideas from IoT devices with Amazon’s business principles. How did so many people adapt to buying from Amazon? This question offers a lot of solutions towards how we can get more people adapting into the IoT environment. In the book you’ll learn about customer experiences and how to design devices around the needs of customers. You’ll also learn about how Amazon’s technologies use certain touch sensors, relay data, and how to process all this data using cloud computing. A really interesting read if you’re curious about the technical side of IoT and where this could lead in the future. The sheer volume and mass of technology we have available easily holds the potential to revolutionize the planet. 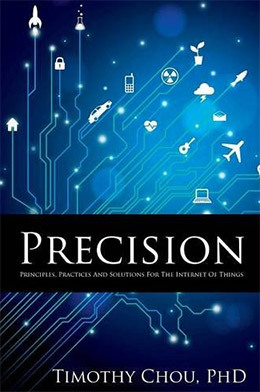 Precision: Principles, Practices and Solutions for the Internet of Things talks about this potential revolution and what you can do to work with it rather than against it. The author Dr. Timothy Chou is currently President at Oracle so he knows a thing or two about technology. This book is very well written but also reads much more technically than others. Dr Chou talks about frameworks and connectivity features you can use for building devices that just work. 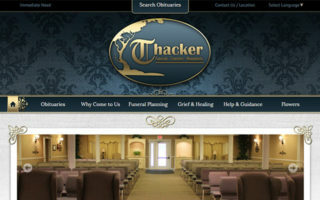 Each chapter analyzes a different part of the industry offering solutions and mediums to improve your development work. I’m a huge fan of this book and wouldn’t recommend anything else for understanding the technical side of IoT and connected devices. There are many different ecosystems and types of technologies blossoming in this newer tech-savvy world. The Internet of Things: Enabling Technologies, Platforms, and Use Cases looks into how these ecosystems work and how you can capitalize on their growth. 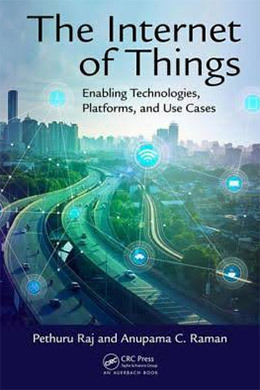 Wireless design, integrated circuit boards, digital sensors, and even software-controlled products are all unique topics discussed in this book. You’ll get a glimpse of all the many problems faced with modern IoT growth including distribution and data processing. There’s also a climate of confusion with most consumers where people aren’t really looking for smart devices right now. But when would that change? And what sort of value can you find with these smart devices? 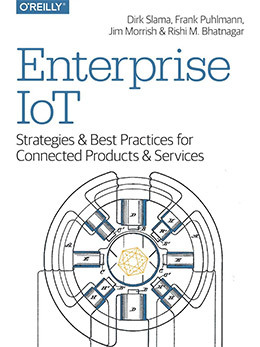 Grab this book if you want a look at the overall IoT ecosystem and how it works. It also gets into security topics which are crucial to think about before designing your own smart device. 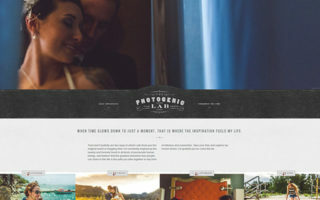 Looking to get your hands dirty and create some really cool projects? 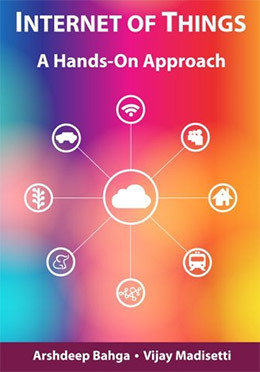 Then you’ll want a copy of Internet of Things(A Hands-on-Approach) written by Arshdeep Bahga and Vijay Madisetti. This book looks into many different industries and how they can all benefit from smart objects. Industrial work, agriculture, and retail are just three examples of booming industries that’ll be radically changed by automation. Since there is no “ correct” way to build IoT devices there is no specific way to start. So this book offers an alternative you can follow and try to get working if you have the patience to spend the time working at it. By the end you’ll learn to work with Raspberry Pi boards and how to design products that actually offer value to the consumer. You’ll also have a much clearer idea of what IoT means to technologists and where this can go with just a few years’ time. All of these books are fantastic and they’re all geared towards readers with little-to-no prior knowledge. Whether you’ve been studying the Internet of Things for years or just want to get started, every one of these books offers a delightful read. For practical purposes I recommend Learning Internet of Things which takes you through very specific examples and UX trends. But for a stronger intro guide I recommend Getting Started with the Internet of Things. I’d argue that every book in this list is worth reading so it just depends on your goals and what you want to learn about the Internet of Things.